With today being Black Friday, I thought it would be fitting to offer a foil to the day’s frenzied consumption and consumerism by showcasing a relatively new brewery with a stated commitment to more ecologically-responsible brewing. 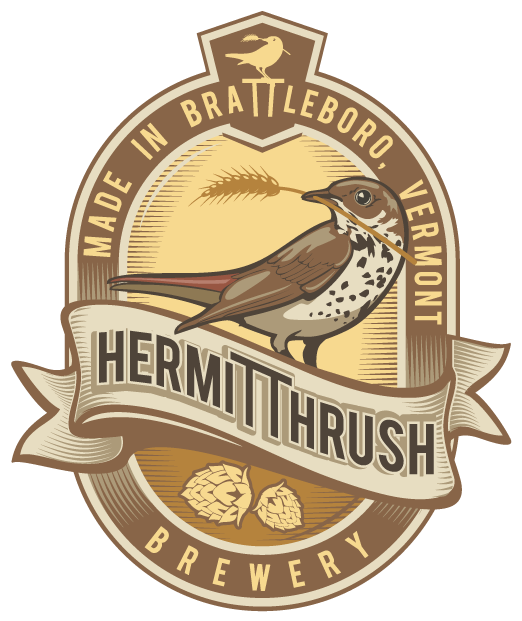 Named for one of America’s most melodious songbirds, Hermit Thrush Brewery of Brattleboro, Vermont brews a range of sour beers that have gained as much attention for their quality as for the conscientious methods employed in making them. Among other things, the brewery packages their beer in easily-recycled and lightweight aluminum cans only (requiring less energy to transport than bottles), ages its beer in castoff oak barrels, and – in an especially audacious move in today’s freshness-obsessed beer market – makes use of earthy, aged hops that other breweries wouldn’t dream of dumping in their piney IPAs. 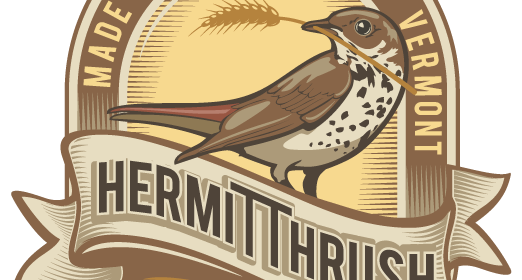 Additionally, each can of Hermit Thrush beer is emblazoned with a motto of “Get beer off oil!”, and the brewery lives up to this appeal by firing its kettles with sustainably harvested wood pellets. 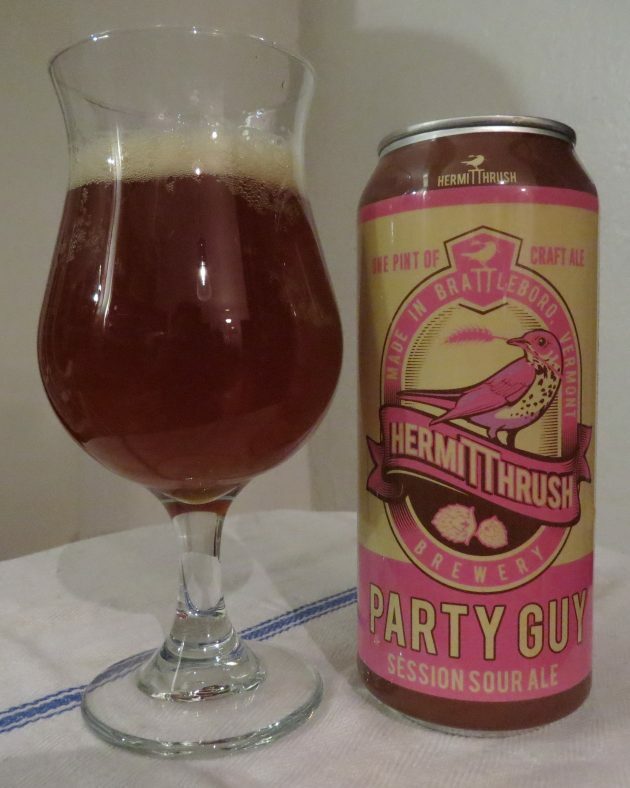 Hermit Thrush makes several beers in a variety of styles – and they’re all sours – but one seems an especially appropriate antidote to yesterday’s gluttony: their Party Guy sour session ale registers a mere 3 percent alcohol, but boasts a lot of flavor and body for such a little beer. Admittedly, a beer called Party Guy makes a puzzling choice for a sermon on responsibility and restraint, but its name owes more to craft brew geekery than suggestive advertising. Party Guy is a somewhat esoteric pun on “parti-gyle”, a largely obsolete brewing practice in which a single quantity of malt is steeped (or mashed, to use the technical term) more than once, allowing several, successively weaker batches to be made from the grist with each extraction (or “gyle”). To draw an easy parallel outside of brewing, it’s a bit like making a second cup of tea using the same bag – which seems cheap and wrong, but it works in brewing – especially when starting out with a high alcohol beer. Parti-gyling allows brewers to squeeze every drop of fermentable liquid from the massive mashes that go into making the very biggest beers, producing two beers – or more – for the price of one. In this case, Party Guy is brewed in tandem with Hermit Thrush’s Jolly Abbot, a big, barrel-aged sour barleywine. In modern brewing, where malt is cheaper than time and labor, the convoluted parti-gyle process has mostly been abandoned for less tricky methods and the straightforward simplicity of making one beer from one mash. But as the brewers at Hermit Thrush have discovered, the revival of these parti-gyle techniques yields many advantages: besides saving time by making several batches with one mash, less malt to mash means producing fewer emissions to haul it, less fuel to mash it, and fewer spent grains to discard (or compost) at the end of the brew-day. Sometimes modern green technology and old-fashioned craftsmanship make for strange but effective bedfellows in the pursuit of more sustainable brewing. If these admirable efforts weren’t reason enough to support this brewery, it’s also worth looking for Party Guy just to see a Hermit Thrush (Catharus guttatus) rendered in a most eye-catching shade of Day-Glo pink on a 16-ounce beer can. In the glass, the beer assumes a more modest appearance: Party Guy is a hazy, deep copper ale that glimmers orange in the light. As in most sours, the fragile, off-white head dissolves quickly: acidity is always an enemy of head retention in beer. The nose is bright and tart, smacking of lemon, raspberry, rhubarb, and sour apple, complemented by spicy hints of nutmeg, cinnamon, and fruity bubblegum. In the wake of these aromatics, the palate is a predictably puckering experience, but no more so than a cool glass of lemonade, with crisp notes of tart green apple, lemon verbena, and sour cherries, light touches of biscuit malt, and a pithy hop bitterness that borders on the tannic and contributes to a dry, clean, vinous finish. Party Guy’s sharp and fruity flavors might be more obviously suited for warm-weather drinking, but like the half-hardy Hermit Thrush that sometimes overwinters here in the Northeast, this beer is welcome any time of the year. It has enough tartness to complement a salad of winter greens and citrus, perhaps even standing in as a vinaigrette ingredient. Party Guy should also match well with light and briny shellfish, sweet and sour treatments of chicken, and would counter the richness of duck very nicely. However, I suspect Party Guy would really shine during the summer months, enjoyed on its own or paired with any number of fruit-based tarts, cobblers, pies, and sorbets. Until then, it’ll just have to serve as a summery respite from more routine holiday fare.